What’s floating, you ask? I wondered that myself after I got a ‘lil nebby on Twitter. The Taco Truck (LA Tacos) happened to tweet about Levity, a float studio, to one of their followers…thus started my rabbit hole of learning about floating and escalating to getting a float session on my calendar / chatting about all things float with Dave, owner of Levity. I went to my session with no expectations, and came out with all the feels. I’m going to tell you about it, but my float experience might not be the same as yours, so honestly, the best thing to tell you is to just go float. Levity is in the Squirrel Hill section of Pittsburgh in a “hole in the wall you’d miss it if you had no idea it was there” business spot. I asked Dave why there’s not a lot of signage and that’s because this floating thing is our getaway from the world, something that doesn’t necessarily need neon lights and arrows to point you in. That’s not exactly what Dave said, but he did mention that the lack of advertising on the “store front” helps keep high profile clients (like Pittsburgh athletes and artists) from getting stormed by paparazzi when they come and go. 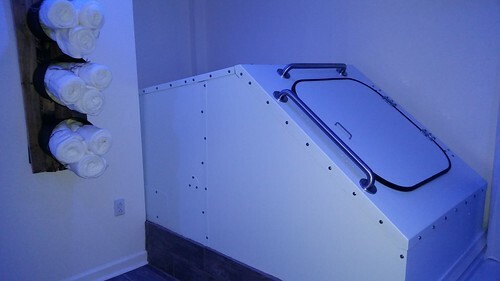 I love it, but am willing to point you to their website so you can find out just where to go to float (floatlevity.com). When you enter, you can immediately feel the love that went into the design of the entryway done by John Malecki, a designer and Steeler. Malecki used reclaimed wood that you literally can feel love coming from. Even that big door shoots off elements of a loving home. Everything deserves a second chance, Dave told me, and I couldn’t agree more. When you’re ready to float, you’re taken to another world that lets you escape from the hustle and bustle of the city. Glance to your right and you’ll see gorgeous artwork by a local teenager. 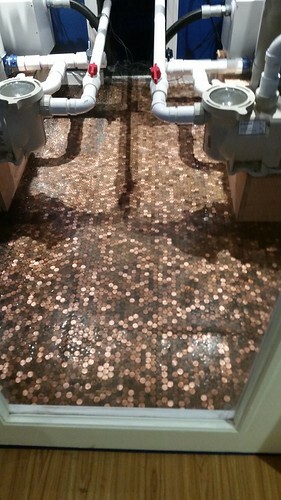 Glance to your left and you’ll see the filtration system that keeps things clean – and on the floor, pennies from Dave’s friends and family to represent the labor of love that Levity is for him and his wife. 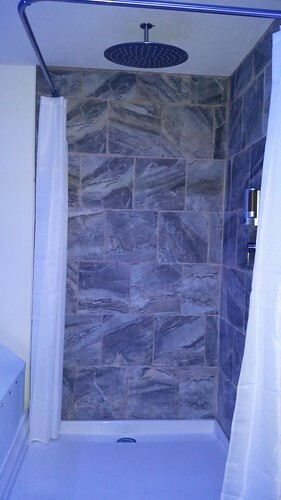 Once you are in your private room, you shower while music plays to get your float started. 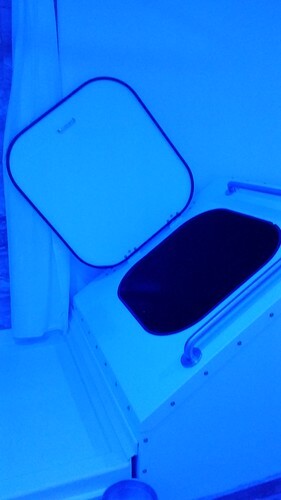 I thought I’d be scared to climb into the pod and shut the lid behind me, but all claustrophobia vanished when Dave talked to me about the benefits of floating. You are in the pod for 60 minutes of zero gravity healing of the body and mind and then music plays again, signaling it’s time to get out, shower*, and feel what I felt when I was done. And what’s that I felt? Well, I couldn’t even really talk to Dave afterwards. I just sipped on water and kept nodding my head. He knew what I meant. Walt from LA Tacos also knew what I meant. And I’m hoping more of you will soon know what I mean. “Clear skepticism when you walk in. They float, come out the door…and they get it. Troubles float away,” Dave tells me. I just floated for an hour and now am all about the mermaid hair. ♡ Thanks for centering me today, @levity412! Go online and schedule yourself a float. Levity doesn’t take payments at your session (when money enters a relationship, it opens the door to trouble, Dave says), so all you need to do is bring yourself and a welcome spirit to feel the benefits of a float. Handle everything else before you come in and everything else after will be handled so much more smoothly. * Pro tip – Levity has some amazing shampoo / body wash to use in your shower, but I should’ve brought a thick-toothed comb and leave-in conditioner . My mermaid hair don’t care attitude worked for me, but if you are going to Levity before a date or PTO meeting, I highly suggest you do what I didn’t. 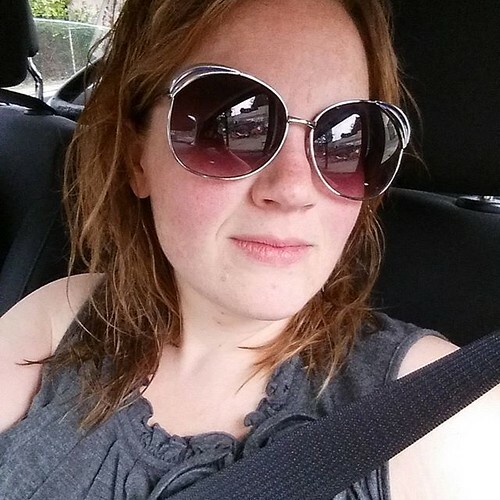 This entry was posted in Pittsburgh Fun, Thinking and tagged healing, Pittsburgh, post-partum, self-care. Bookmark the permalink.